I decided to make my own walking stick. My knee plays up every now and then, and using a stick or pole like the one I made is great for bush walking, especially up and down steep hills/mountains. I could have just used a plain pole, but I thought I would add some basic decoration to it to make it more interesting to look at and use, but also because I like to do creative things. To make a walking stick like mine, all you need it a wooden pole (I used Oak Dowel), some coloured tape (I used electrical tape), a pencil or marker (I used a sharpie), some chisels and optional is a rotary tool like a Dremel. I made some videos to show how I made the walking stick, and in my videos I did use a Dremel for the top design, but the bottom part of the stick I didn't use a Dremel at all, just chisels, so if you don;t have a Dremel, chisels are fine. Chisels - I used flat beveled chisels, not gouges. Price will vary depending on brand/quality but cheap ones will do the job. Dremel - I used one with a flexible shaft too as it was easier to hold for long periods. You will see it in a later video of the intructable. The final finish you want to use is up to you. I used a cabinet makers wax, but you could use a wood oil of your choice, varnish, or polyurethane. - Price varies depending on what you use. I also used 0000 grade steel wool and an old cotton t-shirt as a rag to buff the wax. Colouring the wood. You can use wood stains if you want, but i experimented with natural chemical reaction processes. As I used Oak, Oak has tannin's in it which can be activated using different substances. I first used bi-car soda and water on the wood, which did change the colour but it was minimal. Next I put 4 black tea bags in a small amount of boiling water, left it to steep for about an hour, then applied the water/tea to the wood. This darkened the wood a lot more than the bi-carb soda. I applied a few coats but still wasn't happy. The last thing I tried was cutting up some small amount of the steel wool and put it into a glass jar with pure white vinegar. I left this sit 4 days, stirring occasionally, then applied to the wood. This worked very well and the wood is now much darker. The video will give you a good idea of how i went about doing this. I used the electrical tape and wound it around the pole to get the pattern laid out. The tape needs to wrap around at a constant 45degree angle around the pole. Ensure the spacing is equal between each tape line. The video gives more detail on how to do this. This video I use a chisel to score the lines in the wood. You can do this without the rotary tool, but next video I show how I do it using the Dremel. Please take care when using a chisel to score the lines. Ensure you keep all body parts out of the way of the direction of the chisel when applying pressure to it. Make sure you have the pole on a hard surface such as a bench or the floor (like I do in the video), so you can apply fir but controlled pressure on the pole. In this step we are cutting the wood fibres to make an indentation in the wood, scribing the lines into the wood. This indentation is called a stop cut. It is called that because when you are carving towards the line, the fact you have cut the fibres when you scored the wood, stops the chisel slipping past the line which would ruin your work by taking off wood you didn't want to remove. This step is similar to the previous, except I use the Dremel rotary tool instead of the chisel. 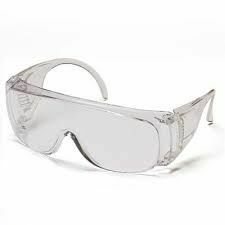 Make sure you wear safety glasses, if a bit breaks on the Dremel, it could potentially blind you if you are hit in the eye with the high speed the Dremel runs at. I used a cutting wheel bit which worked well for this project. The cutting wheel was much faster than using the chisel. Using a certain type of cutter bit (shown in video), I carve the over and under of the braid of the Celtic Knot. Make sure to wear your safety glasses. Similar to the previous step, I use the Dremel again, but I changed cutter bits to a different type (shown in video) to cut the diamond shape spaces between the braids. The bit I used is round and left a rounded scalloping effect in the wood which I deal with in the next step. In this video, I use a chisel to sharpen up the edges of the carving. It still looks a bit rough in the end of the video, but after I re-sharpened my chisel properly, it was super sharp to make a nice clean cut. The final cleaning up of the edges of the wood isn't shown as I didn't make another video after this one. I gave the wood a final sand with 320 grit sand paper, then applied the white vinegar and steel wool mix. I applied to coats allowing it to become dry between coats. Finally I used the steel wool and dipped it into the cabinet makers wax, then rubbed into the wood in the direction of the grain of the wood. I then used an old cotton t-shirt and rubbed the wax with a lot of pressure to really buff it up. I hope you found this helpful for your own project. Andrew, this is fantastic. I stumbled across this, looking for something else, but I'm in the process of making a cane and I'm trying to apply it to that application. I was hoping you could answer some questions for me? How did you come up with the 3.5 x width ratio? I'm in the US and my tape is 19 mm (3/4") wide. I'm applying it to a 1" dia dowel (for practice) and my tape is overlapping, not leaving me the diamonds. The dowel of the actual cane is 7/8" dia, so I'm trying to figure out how to scale this to a different diameter. After finding a patern for a Celtic weave that was linear, I now recognize this as 2 pairs of sine and cosine waveforms wrapping around the cylinder. Is there a ratio between the diameter of the circle and the width of the weave (tape) I can use to scale this up or down to various size dowels? Thanks in advance for the help. Oh, I've used the Vinegaroon on leather, now I'll have to try on the wood. This walking stick is beautiful. Nice job! As I understand it, Tasmanian oak isn't oak. Its just some nice hardwood from Tassie. The rest is marketing. Or perhaps from nearby Victoria. It will be some eucalyptus, ie gum tree, perhaps stringybark. Still a nice wood. Can you bend the top to make it a cane? Great Job! I'm curious to see how this works for a Sotol stalk.